Rising government focus and favorable policies for manufacturing units and exports are leading to growth in the textiles and apparel industry. With such a development view and support directly from the Government, the apparel industry is going to set records. Readymade garments remain the largest contributor to total textile and apparel exports from India. A study by BCG and Facebook says, two out of every three product sold in India would be a branded apparel thus with an increase in standard of living of urban people and their wish to live a quality life, Indian retail sector is ready to witness a boom. Apparel industry covers 47% of the total Indian Fashion catalog and India’s online fashion commerce is expected to grow four-fold to $30 billion (nearly Rs 2 lakh crore) by 2020. Demand for Indian Traditional wear has increased exponentially over the years in the international market. Indian ethnic wear has a great presence not only among the NRIs but also among the foreigners. In recent times, Indian wear is gracefully carried by international stars, celebs, politicians, and famous people. 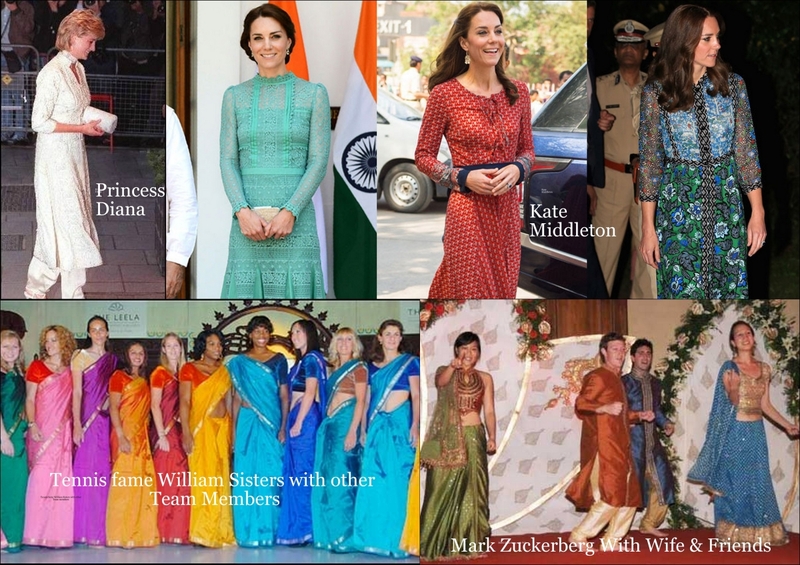 Indian Apparel brands have been favorite of many international celebs: Princess Diana had a Collection by Ritu Kumar while on a recent visit to India, Prince Williams’s wife Kate Middleton’s was seen in Anita Dongre collection. E-commerce has brought about a revolution in the shopping model of India, with as many as 85% of online apparel shoppers preferring Mobiles over any other device. While, the online shoppers are using a number of channels to discover, research and purchase apparel. With lined up opportunities, there come several challenges for simplified apparel E-commerce. Flipkart(including Myntra, Jabong), Snapdeal and Amazon have occupied a major part of the online fashion retail space. Myntra (after the acquisition of Jabong) tops the list and by 2020, they will constitute 65-70% of market share. Niche online fashion players such as Koovs, Voonik, YepMe, Limeroad and Craftsvilla are also making their presence among the customers. The rise of new fashion marketplace is also very significant these days, like Tata CliQ, Gofynd etc. Major Offline brands such as Fabindia, Raymond, Ritu Kumar etc. going online is the latest trend so far. Unicommerce, leading E-commerce Supply Chain solution is focused on changing the face of Indian Fashion retail. It is on a mission to automate the largely scattered apparel industry to make it technology driven. Its Order and Warehouse Management solutions to automate client’s supply chain operations for online and offline businesses (Both B2B and B2C). Unicommerce comes pre-integrated with 40+ online Marketplaces and 30+ Logistic partners, with support for offline channels as well to manage the needs of Wholesalers, Distributors, Retail Chains, Individual Store owners and E-commerce sellers to increase revenue and save operations cost. Below is a quick brief about Unicommerce’s offerings, click the links to know more in detail.